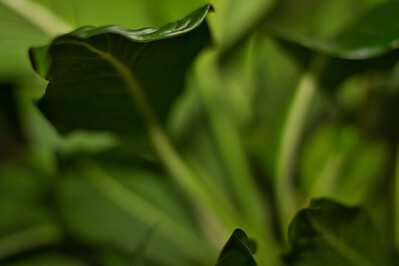 Plants are a wide subject matter to focus on with nature photography. 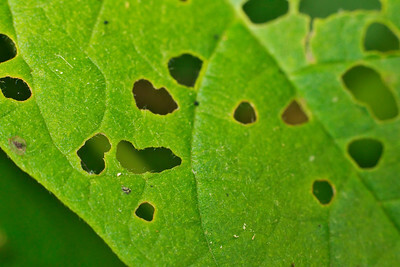 Abstractions, leaf details, habitat display, there are so many unique ways to capture your vision. 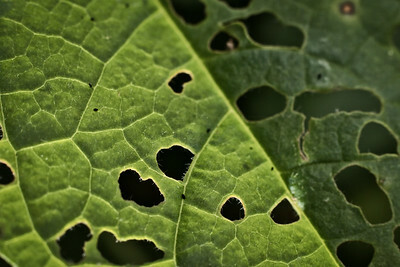 Fortunately, plant life is an exciting and engaging subject to create images out of. Beavercreek, Ohio © 2016 Ryan L. Taylor Photography. All Rights Reserved. Siebenthaler Fen, Beavercreek, Ohio "There is nothing more beautiful than the silence of nature.” - Nina Hrusa My thirst to learn and discover never stopped me. Before having a car, I would walk as far as possible with my gear strapped to my back. I made a point to arrive here at the fen early one September morning. The fog lifted itself slowly and carefully as it left mist and dew on top of the boardwalk. 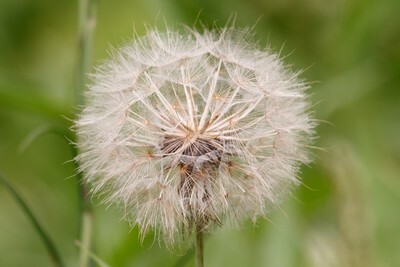 Rainfall from a previous day warped these fully bloomed dandelions to the point of no recovery. My earliest photo opportunities were merely capturing on the merit of what stood out to me. If something caught my interest then I wanted to photograph it. Even as my knowledge and experience has improved in a few years. I still hold this childlike wonder of what awes me. Photography in general is boiled down to having a light instrument and pointing it at something, press the shutter. Sometimes the simplest things are what we enjoy the most. © 2016 Ryan L. Taylor Photography. All Rights Reserved. 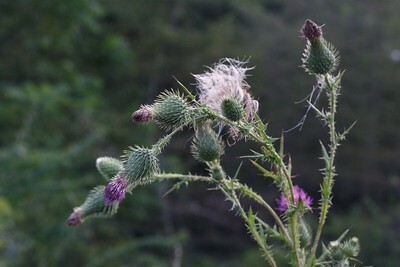 Karohl Park, Beavercreek, Ohio "Study nature, love nature, stay close to nature. It will never fail you." - Frank Lloyd Wright This is one of the earliest photos in my portfolio still. I somehow got lucky with the sharp focus on this one while shooting handheld at 50mm. Since I have very shaky hands, nowadays my images are taken 95% of the time using a tripod. 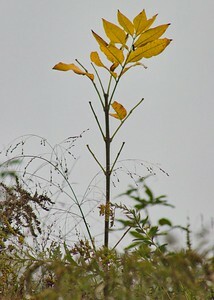 The wide aperture helps distance the plant stem from the rest of the background foliage. 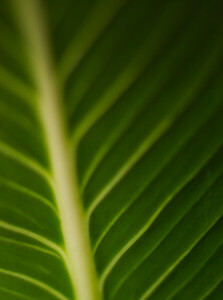 From a composition standpoint I enjoy the curved look of how the sprout "leans into" the frame. Karohl is a park I don't go to much anymore due to the fact it was converted into a disc golf course soonafter this image was taken. It goes to show, some of my early images are still my favorites. 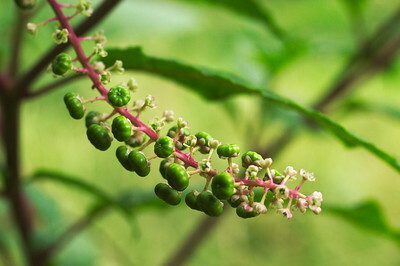 Pokeweed is a berry producing plant, the berries are poisonous at all stages of growth. 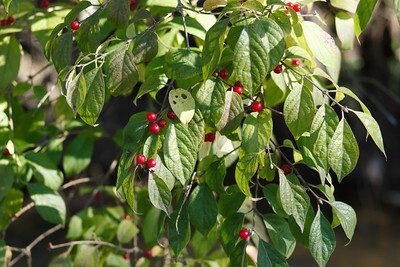 Historically they were used for ink as many documents were written with pokeweed ink. 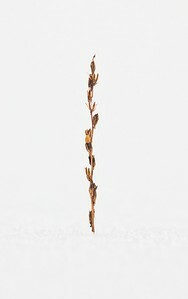 This image displays the fruit just before fully blooming into a dark blue and black sprout. 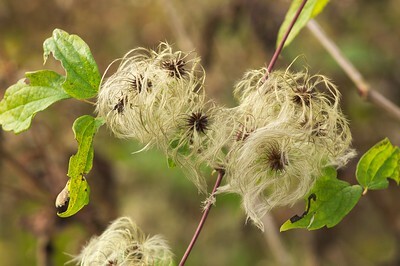 Expect to find these growing in bunches in wooded areas. I visited a local gallery on opening day last year and had a good conversation with the photographer about light and life. I got there pretty early and they were still hanging up the show but he still was nice enough to show me around and tell some stories behind the images. When I was about to depart, I asked what may be considered a cliche question: "Do you have any advice for me going forward?" The older gentleman said.."Go out shooting whenever you can, don't be afraid to try new things, and slow down and enjoy the views in front of you as much as you can." © 2016 Ryan L. Taylor Photography. All Rights Reserved. Beavercreek, Ohio "Strip away your ego, there is simply no time for frivolous pursuits. Let the moment take you where it wants." This is a leaf of a Purple Coneflower with two large water droplets on it in focus. 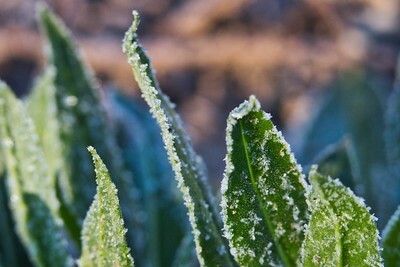 I took this image just after sunrise when morning dew is still present. With an extension tube mounted on the lens and camera, I was allowed to bring the the tiny droplets into magnified detail. This Coneflower plant was growing in a planter in my backyard. 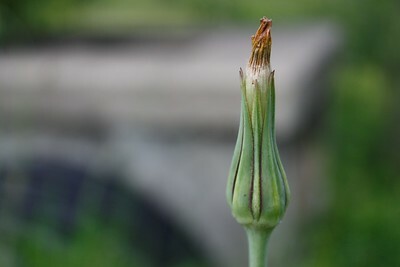 Sadly it did not fully bloom yet it grew out its stem several inches tall, producing multiple leaves off of it. 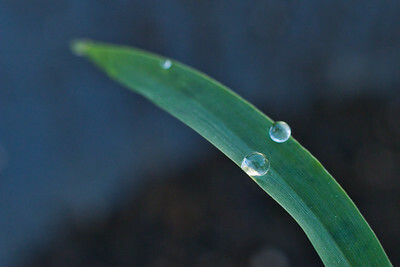 What makes this image work for me is the not only the two droplets but how they are positioned parallel to eachother. 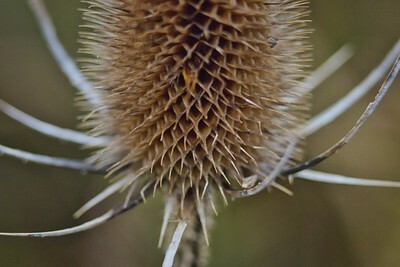 This photo was purely accidental as I was checking up on my bird feeders and the attempted flowers such as this one. I rushed inside to get some gear to take the shot before the drops dried up from the summer sun. Coneflowers are excellent for pollinating with monarch butterflies and other species. I'd highly recommend choosing native plant species in your backyard as invasive species can overgrow and harm the environment. Native wildlife benefit from the food sources that native flowers bring. This cycle works if we all do our part. © 2018 Ryan L. Taylor Photography. All Rights Reserved. James Ranch Garden, Xenia, Ohio "It's very, very dangerous to lose contact with living nature." 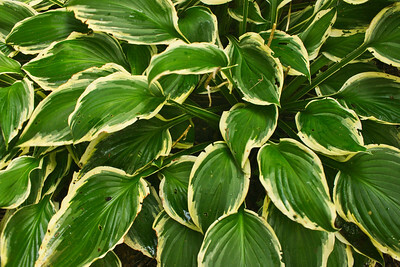 - Albert Hofmann Lilies, also known as Hosta, are a herbaceous perennial that are very tolerate of heavy shade. I took this image on a on-off rainy day at James Ranch Gardens. To make use of the shade, this specific bloom was located under the roofed arch entrance to the garden. 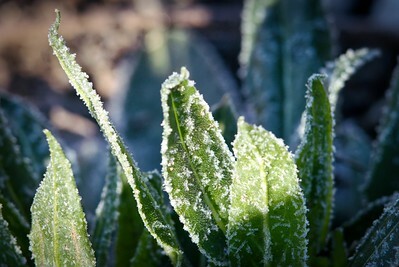 Preferring very moist soil, hosta are often considered ornamental for their large and low-lying dense sprouts. For anyone interested in horticulture, I'd recommend you seek out plantain lilies, their very showy size is something to see in person! I very much enjoy creating endless patterns and textural shots like this. 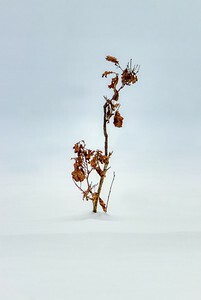 Flowers are liberating creatively-speaking as there is a myriad of methods to document and craft images out of them. In this image, repetition works in my favor as it implies the leaves go on and on. 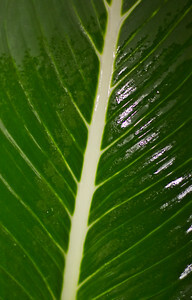 The white trim on the leaves helps add some interest and texture to the entire frame. 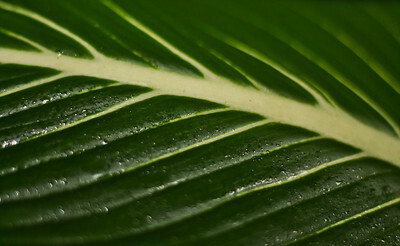 I prefer photographing botanical gardens on partly cloudy days to reduce harsh highlights and deep shadows. This is all personal preference. By extension some flowers are under the best light during midday summer sun. Regardless, get out there to view and enjoy whenever possible. © 2018 Ryan L. Taylor Photography. All Rights Reserved. Indian Mound Reserve, Cedarville, Ohio “Adopt the pace of nature: her secret is patience.” - Ralph Waldo Emerson Almost celestial, I can literally feel the fragility in this image as the winds have their say and carry it left to right. Swaying with no care. A faster shutter speed was a priority to freeze the motion in time. The kinetic energy by the tilted angle is made much more calming in a still photo. Standing at the peak of the Williamson Mound, every direction I turned had a photo-worthy subject. 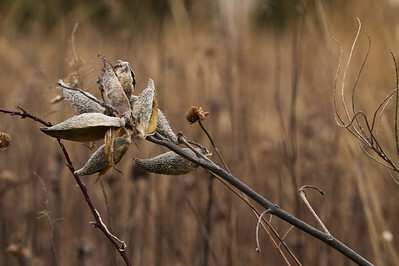 This Sitka is a perfect display in using a shallow depth of field. The background is out of focus, leaving a pleasant bokeh with the yellow spots. From my viewpoint the Sitka was backlit by the almost setting sun. This helped contrast it further from the rather dark background. The Williamson Mound stands about 30 feet high and so you're level with the surrounding trees, making the wind tricky to capture these swaying plants at the higher altitude. Knowing what settings to use and when is critical to produce better photos. If it is dark outside, use a higher ISO. 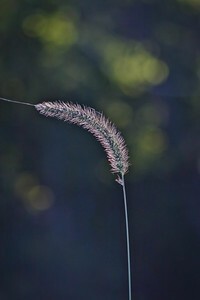 If it is a moving subject, use a higher shutter speed. If you wanna isolate the subject from the background, use a smaller f-stop. Photography is merely problem solving at its core. Know your gear and dials/buttons inside and out so you are ready for whatever nature throws at you. © 2018 Ryan L. Taylor Photography. All Rights Reserved. Buck Creek State Park, Springfield, Ohio “Peaceful feelings happen when we are close to nature and our natural state!” - Avijeet Das April 3rd is National Walking Day. 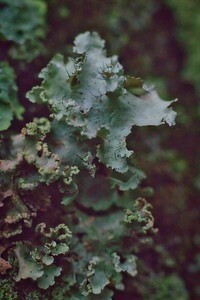 Lately I've been mulling over the idea that the hike/journey is just as important as the photo/end. Every step taken is another towards the goals I have set. Hiking from the edge of the earth and back again for a photo sounds silly, but there's an inept human desire for adventure and belonging. We all long for adventure, and this is one that I take. Not everyone goes at it the same way or for the same reasons. Yet we all see a hill and wonder what could be on the other side. Curiosity fuels my desire to explore and learn about what's out there. This image was something of an afterthought as the day was approaching near dusk. I had been hiking countless miles around the woods and lake to only find myself in this meadow flatland. 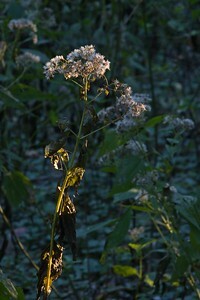 The backlighting really drew my interest to this sagewort. There's nothing else I'd rather be doing. Laying around at home twiddling my thumbs or seeing heavenly light like this? I'd take the latter anyway of the year. So I suggest you go on a walk today, or any day for that matter. It's good for you. © 2018 Ryan L. Taylor Photography. All Rights Reserved. Sibenthaler Fen, Beavercreek, Ohio Often one of the first perennial plants to bloom every spring. 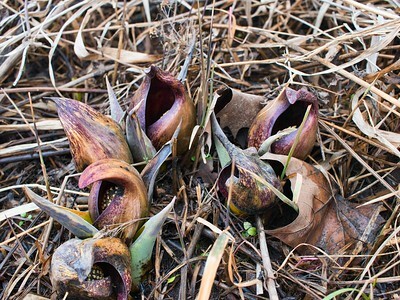 Skunk Cabbage has a unique chemistry that allows it to bloom while generating heat of up to 70 degrees, even melting nearby snow to escape to the surface. 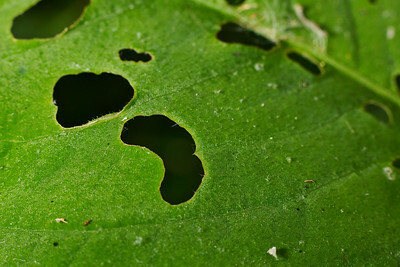 Bruised leaves may remind some of a skunk fragrance. © 2019 Ryan L. Taylor Photography. All Rights Reserved. 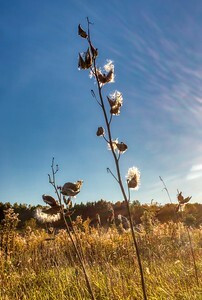 Indian Mound Reserve, Cedarville, Ohio © 2019 Ryan L. Taylor Photography. All Rights Reserved.